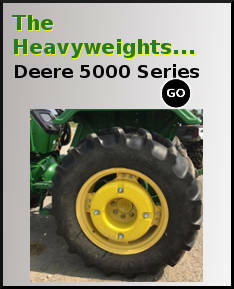 Tractor wheel weights, idler weights and construction equipment weights for John Deere, Kubota, Case, New Holland, Versatile, Massey Ferguson, Challenger, AGCO and more. Brand new castings, color matched, fast shipping. 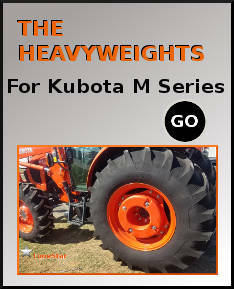 Wheel Weight for Kubota, Claas and others. 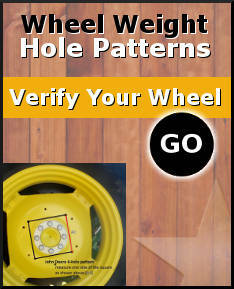 Factory Type John Deere Tractor Wheel Weight. Can Replace L28228 in many applications. 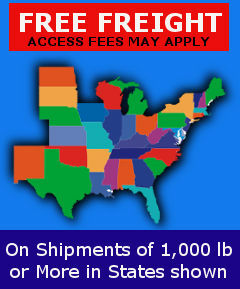 Replaces: T19293, R213907 in many applications. Factory Type John Deere Starter Wheel Weight. LS215, Uses LS214 Starter Weight. Factory Type Kubota Tractor Wheel Weight.